This Wednesday, April 8th at 7:30 PM, on channel 67 on my shoestring cable progam Famousx2, I am re-airing the second of three half-hour programs of interviews I did in 1998 with Victor Brady, steel pianist extraordinaire. Victor, from Saint Croix originally, calls the steel drum the steel piano, which he has played for more than fifty years. He was a sensation in Harlem, the Borscht Belt, The Village and on the streets of NYC during a period of more than 25 years. Many of you saw him playing everything from calypso to pop to rock to Gershwin to Mozart on his "steel piano" while he jingled the bells on his stamping boots around town. He knew a lot of the heavies from that whole period. He is often credited with having created the modern street music scene in the village and with having been responsible for Central Park's being traffic free on weekends. In this program, you will learn of his status among the beatniks and folkies of the Cafe Wha in the early-mid 1960s. You will hear his take on the atmosphere of the Village at the time, and his comments about Bill Cosby, Peter, Paul and Mary and others. You will hear how Victor played a key role in Jimi Hendrix' becoming accepted by the downtown crowd. And you will hear some of Victor's music from that time. If you are in Manhattan and have access to Time Warner, you can see it this Wednesday April 8th, at 7:30 pm (DST-that's NYC Daylight Savings Time) on channel 67. On the RCN system, that should be either channel 85 or thereabouts. If you are outside of Manhattan, anywhere in the world, and you have a good high-speed connection on your computer, you can go click here or to MNN and click on channel 67 to see it at the same time. My young 21 year old son, George Byron Brady, yesterday on May 24th 2009, received his diploma from Wesleyan University in Connecticut. His major was the College of Social Studies (CSS). My 18 year old daughter, Melanie V. Brady, is a freshman, Pre-Med student at the same university. At the commencement awards, more than 10 speakers said "The college and its students have to change the status quo, etc." Victor Brady has always been about changing the status quo and he got punished for it. In reference to your blog post, thank you, thank you, thank you, for not letting the changes I have inspired in the great city of NY, go unrecognized. "I changed Central park and I changed the streets of NY, creating a cultural Renaissance that has continued to this day." I was looking at the television this morning, and noticed they blocked off 42nd street and made it a pedestrian mall. It is all part of the great chain of events which has taken place since the first day I ventured into Central Park, and the streets of NY. My experience in Central Park, drew such large crowds that eventually, Mayor Lindsay turned Central Park on weekends, from automobile traffic to pedestrian mall. One day when my group was playing by the boat house and I took a break, Bella Abzug and I sat at the same table in the restaurant, eating hamburgers and french fries and discussed about her ambition to venture into politics. Fred LeBow, "NY Runners Club", frequented the park on weekends. One day, him and I sat on the hill just above the band shell, and he told me "Central Park has become so exciting that I think the NY marathon should end here." FACT. As you have stressed in your blog, I am the first link of that great chain of events that has taken place to this day. I am still the same guy and doing well. Thank you for remembering me. Jason would like me to give you his email address and phone number. 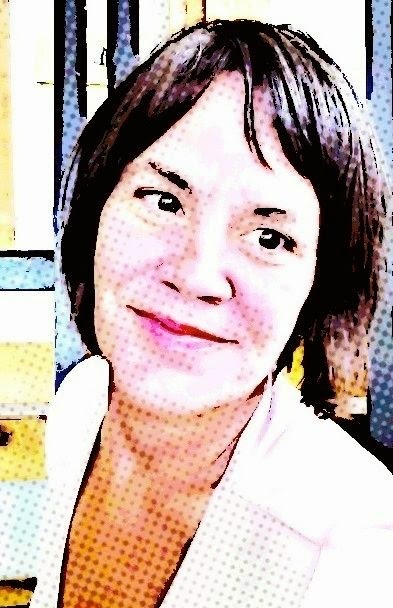 Would you please email me at danaherbert at gmail dot com? Hey Victor how are you? This is your bass player Murray Gordon from the "Brown Rain" days. Been trying to locate you for some time. Victor, I would like to learn more about your musical background. My name is Panman Dave and I first met Victor Brady while walking through Central Park with my dad in 1968. I was instantly drawn to the music and started hanging out each week-end. Victor and the band kind of adopted me and started teaching me to play side instruments. I quickly became interested in playing the steel drum and used to practice on Victor’s single tenor between sets. The scene in NYC’s Central Park was filled with excitement and vitality back in the late 60’s. The band drew large audiences as we moved from spot to spot – people also danced in front of the band. It made Central Park a happening place to be at that time and I was there to see the transformation. We campaigned for Mayor Lindsay – playing at his rallies and I remember Victor entertaining the crowd telling jokes as he pulled for Lindsay’s election. What most people do not know is the magnitude of Victor’s contribution to the steel drum art form – from manufacturing to performing. Victor used to sand the steel drum surface to a glossy shine using many grits of sandpaper for dozens of hours. This became the forerunner to today’s chroming process – common in today’s professional drums. Victor insisted that the pan tuners cover their hammers with a cloth as to not mark up the surface of the steel drum. Victor introduced Ellie Mannette to the gentlemen who made the piano “strobe” tuners – which was used to accurately tune the base note and the entire overtone series (octaves, fifths, etc.) transforming the sound from the old style “dumb-dumb” dull note to the clarified tones that mark the modern instrument of today. Victor also used the first screw in “pick up” and ran it through a Leslie amplifier in order to create a unique tone. Victor also wrote a book about steel drums. As an artist, he was to the Steel Drum as Jimi Hendrix was to the electric guitar. 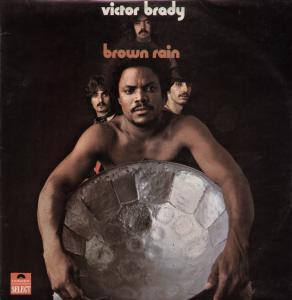 In a world of Trinidadian conformity, Victor’s playing style catapulted him to be the first Caribbean Steel Drum artist to receive a record contract from a major recording label (Polydor Records – Brown Rain). This breakthrough album was a representation of the rock scene back in the late 60’s with Victor’s unique approach to the playing of the music which he also wrote and arranged. He made another record – Classical Steel – later on tackling the world of classical music proving that there were no bound to what could be played on the steel drum. Victor also opened for Charo in Las Vegas and lectured and played at the Smithsonian Institute in Washington DC. Victor records segments for PBS’s Sesame Street which aired for years and has entertained in Japan as well. When Victor left the park band to make his record, I inherited the lead steel drummer position and for more than 4 decades continue to work professionally – currently in the Las Vegas area. Check out www.soundofcentralpark.com for more band history and there are also pictures of Victor and I back in the day. I recently had the opportunity to see Victor, his wife, and his 3 children who are all musically gifted (what would you expect). Victor and I are a lot older now but from what I can tell, Victor is still has the same spirit that he did 40 years ago – truly an original and an un-sung hero from that era. Thanks for everything! This message is for Jason. Victor Brady talking. I just saw a documentary on channel 25, titled "Toni On! New York". She focused on the old Greenwich Village scene, how the young talents that became super stars in rock and roll, used to perform in the various coffee houses. There was no mention of Victor Brady. The King of them all. Superman. Many of the people who became superstars in comedy, folk singing and rock and roll, opened for me, the star of the "Cafe Wha?" Every effort that has been made by so called, "historians" or "know-it-alls" in New York, have left out Superman Victor Brady. When Bill Cosby was making 5 dollars, I made 30. Manny Roth was a cheapskate, who hated to pay the entertainers. I started in the Cafe Wha? when Lou Gossett, Freddy Neil, Dino Valente, Len Chandler, Pete Seager, Josh White, Odetta, and many more, came to that coffee house to perform. Bob Dylan came a little later. Jimi Hendrix came later too. I know when Phil Graham, Peter Allen, and others, whose names I have written in my archives, were friends of Manny Roth, the owner of the Cafe Wha? and saw me perform. Everybody that talks about New York City, from the 60s to the 90s, leaves Victor Brady out of that history. I changed Central Park and the streets of New York, and I can prove it. I have the documents. I was so popular as a street musician in New York, some people at Lincoln Center, called upon me to be the attraction at the first "Lincoln Center Outdoor Summer Festival". My picture was featured in the New York Times, where I was playing in the Promenade, and I still have that article. It pisses me off that the powers of New York still continue to make me invisible. And to top it all off, now, the Walt Disney Corporation has just released a new movie about Christmas called "Santa Paws" and they are using my idea of a white dog with Santa, and I have documents to prove that Walt Disney had in their possession, my original script, for 14 years. So, they will make me invisible, but they will steal my ideas. Some day I'll catch up with all of them. Yo man, I love you. Take it easy, we'll talk soon. Please email me at danaherbert at gmail dot com ~ Jason would like you to call him.